The I'bbz Frixion XXL Brush is a premium quality brush with a large double head consisting of black boar's hair and white horse hair. 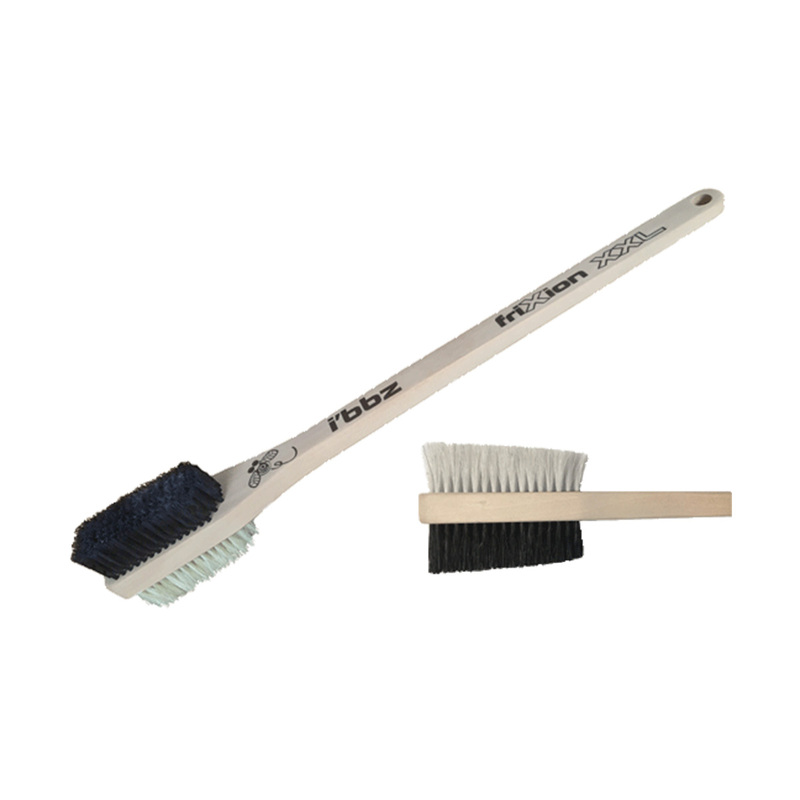 The boar's hair bristles are stiffer, offering a firmer brush that won't damage the rock, whilst the horse hair is softer for use on finer rock types. Length 400 mm, width 37 mm. 9 mm hole to add a cord.